People in Morgantown will not be happy about this. Dana Holgorsen wanted the Texas Tech job, but was not granted an interview. This is being reported on by multiple media outlets. Texas Tech athletic director Kirby Hocutt declined to interview Holgorsen. Dana Holgorsen was an assistant to Mike Leach from 2000-2007 in Lubbock for the Red Raiders. There is already a very vocal part of the Mountaineer fan base that is ready for Holgorsen to move on. With these reports surfacing this group will grow and continue to become louder. According to reports, Texas Tech boosters are torn on who they wanted the Red Raiders to go after. Different groups of the boosters were interested in Holgorsen, Art Briles and Mike Leach. Instead, the Red Raiders appear to be going in a different direction and hiring Utah State head coach Matt Wells, who has a 44-34 record there and a 10-2 record in the 2018 season.
.@cmsilvajr and I have confirmed with two separate sources that Texas Tech is in negotiations with Utah State coach Matt Wells to make Wells the Red Raiders' next head coach. Very interesting that Texas Tech athletic director Kirby Hocutt took a hard pass on even interviewing Hologorsen and appears to be negotiating a deal with Wells right now. Additionally, the boosters who were hoping for Holgorsen, Briles or Leach cannot be happy with this choice. Holgorsen has proven to be a much bigger winner in the Big 12 than Kliff Kingsbury was for the Red Raiders. 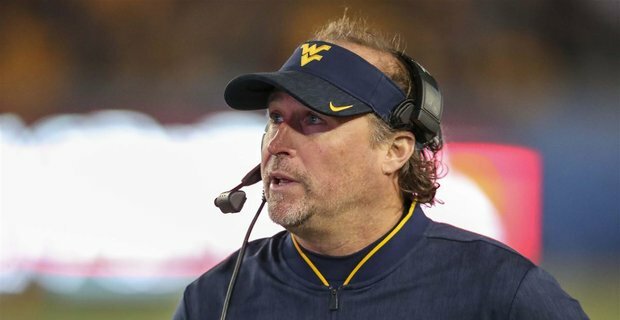 With Will Grier and a large part of the Mountaineer receiving corps moving on, Holgorsen may have been looking to get out while the getting was good.